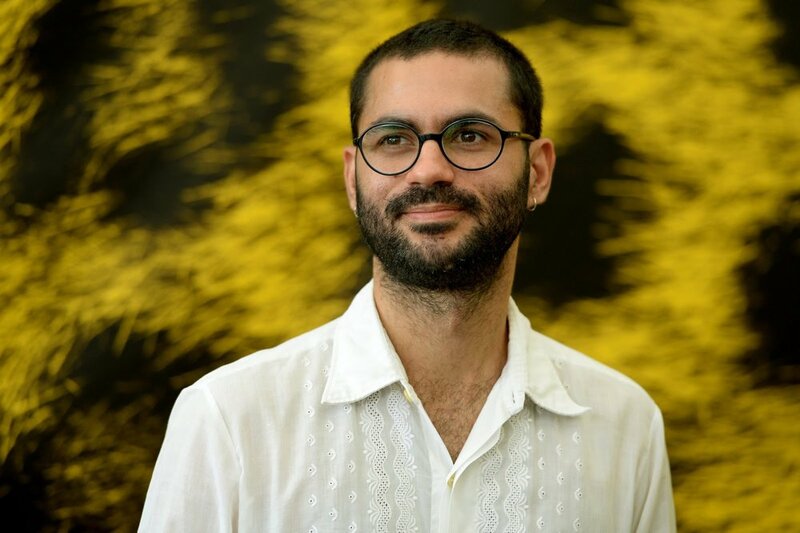 "Gabriel Mascaro (1983) is a visual artist and filmmaker from Recife, Brazil. Mascaro's work is characterized by a critical interpretation of the contemporaneity through observing or inventing everyday practices that involve performance, games of inversion, displacement and appropriation. He investigates the relationship between micro-politics and everyday life through film, installation and photography. His films and video installations have been screened at important festivals and artistic events/exhibitions including Venice, IDFA, Locarno, Toronto, Rotterdam, MoMAn-nNY, Oberhausen, Clermont Ferrand, the Guggenheim, MACBAn- Barcelona Museum of Contemporary Art, Panorama da Arte Brasileira at MAM - SP and the São Paulo Art Biennale. Mascaro participated in the Videobrasil Artistic Residency at the Videoformes in France and the Wexner Center for Arts in the USA. His films have won over 50 awards. In April 2016 he had a retrospective of his work at the Lincoln Center in New York." "Following Gabriel Mascaro’s weighty study of the ultra bourgeois spaces that are high-rise buildings in Brazil (High Rise 2010) Mascaro takes a closer look inside the ‘Brazilian’ home -this time concentrating on the daily lives of live-in domestic servants. 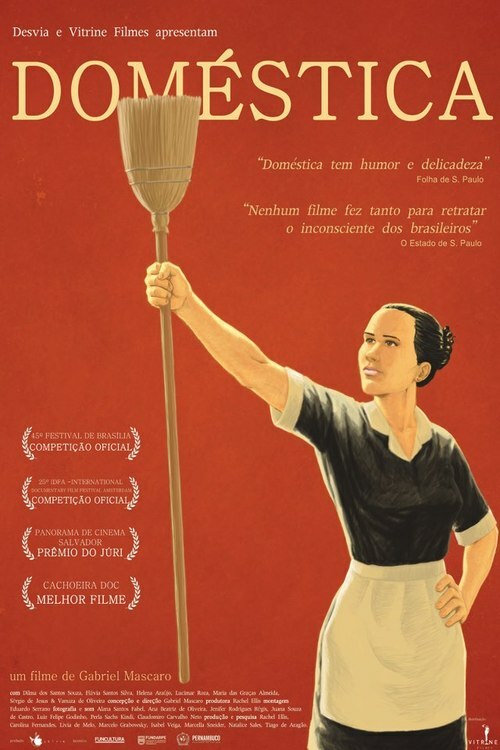 Despite maids being ever present in Brazilian life they are rarely, if ever, considered. Seven young people film the practice of everyday life of their maid with their family. The film provides us with a rare insight into the reverberations of an on-going colonisation that continues to permeate in and through Brazilian families. The images that confront us uncover the difficult relationship that exists between housemaids and their employers; a relationship that obscures intimacy and power." "Gabriel Mascaro: Um Lugar ao Sol (Highrise) What does it mean to have a penthouse in poverty-filled Brazil? Interweaving resident interviews and vistas from above, the film is a hypnotic and revealing examination of the real view from the top. This feature length documentary presents an analysis of the dominant Brazilian classes through a dialogue with the inhabitants of nine penthouse apartments in the cities of Rio de Janeiro, Sao Paulo and Recife. Penthouse residents open up their homes to reveal their thoughts on social inequality, politics, and the world that surrounds them, as well as discussing more intimate subjects such as their desires, fears, insecurities, prejudices and personal histories. The documentary provides insight into the ‘verticalization’ of the Brazilian cityscape and deepens our understanding of what drives people to live in penthouses. High-rise is a film about height, status and power that questions the elite in a way that has never been done before in Brazilian cinema." Films deposited in the This Is Not A Gateway Archive, including House-Maids and High-Rise by Gabriel Mascaro. Some of the materials deposited in the This Is Not A Gateway Archive displayed for the Archive Launch at the Bishopsgate Institute. Over 60 films exhibited at This Is Not A Gateway Festivals or Salons have been deposited, including Gabriel Mascaro's films House-Maids and High-Rise.